Despite Republican opposition on Capitol Hill, President Barack Obama said Wednesday that he's still hoping for bipartisan support for his efforts to use financial bailout money to help small businesses and bring down double-digit unemployment. "I am absolutely committed to working with anybody who is willing to do the job to make sure we rebuild our economy," Obama said after emerging from a White House meeting with a group of Republican and Democratic congressional leaders. Obama repeated his proposals for more infrastructure spending, tax breaks for small businesses, and incentives for Americans to make their homes more energy efficient. He also wants to extend economic stimulus programs to keep unemployment insurance from expiring for millions of out-of-work Americans and to help laid-off workers keep their health insurance. 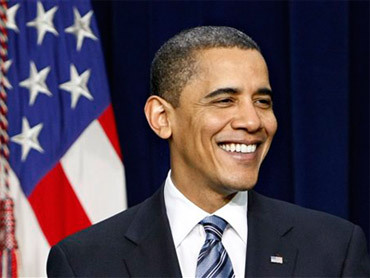 Obama hasn't given a price tag for the new package but said he would work with Congress on deciding how to pay for it. Some lawmakers put the total cost of the new proposals at $200 billion or more. Rep. Eric Cantor, the second ranking Republican in the House, said the meeting with the president was cordial and in-depth. Still, he said the administration "can't keep spending money we don't have." Republican leaders said they presented the president with a "no-cost" jobs plan that calls for a freeze in federal spending and no tax increases until the unemployment rate comes down.